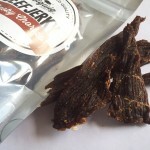 Wild Bull Jerky is produced by Sydney Meats using quality grass fed beef. 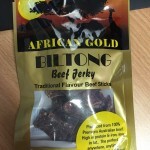 Wild Bull Beef Jerky contains no artificial flavours or colours and is marinated and then cooked to perfection. 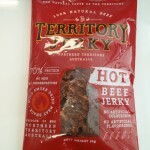 The beef used is real beef, not re-constituted scraps of meat like the big commercial brands, and is hand cut and marinated for 24 hours.